I’ve mentioned before that I’m not a big fish eater. We all know that the mom’s diet plays a pretty big role in food preparation. It’s very unlikely I’m going to cook something that I don’t eat for dinner. This unfortunately means that my children don’t get enough Omega-3s in their diet. I know how very important it is to ensure they do. That’s why my husband and I try our best to get it to them in other forms. Have you heard of Omega Water? Each bottle has 100mg of Omega-3 and is ZERO calories. So, why do you need Omega-3s you ask? 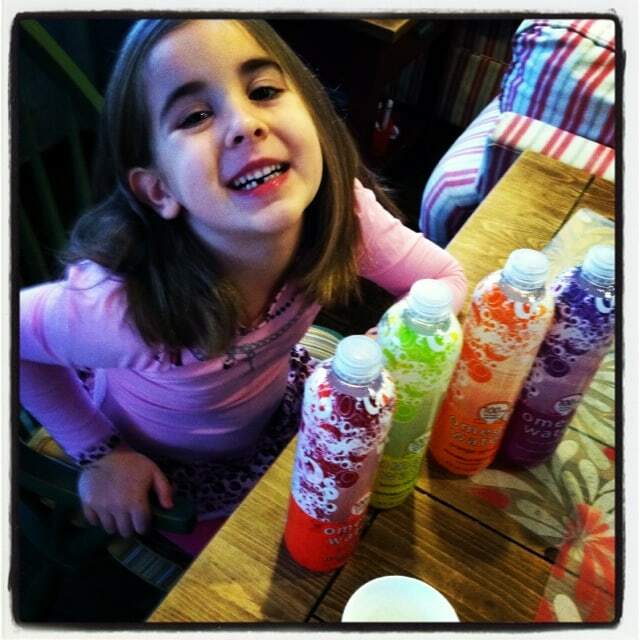 There are 4 flavors to choose from: Berry Breeze, Orange Splash, Lemon Squeeze and Fruit Fusion. It’s actually the only water fortified with Omega-3 and six other essential vitamins on the MARKET! 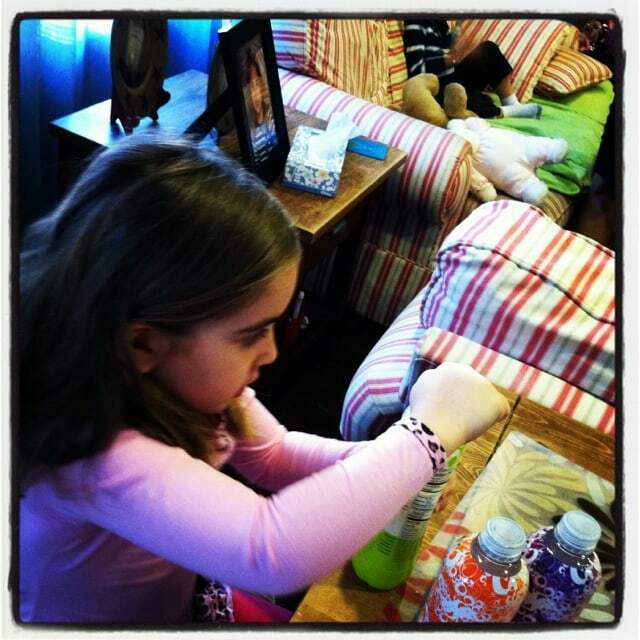 I asked Natalie to pick a flavor and she opted for the Lemon Squeeze. 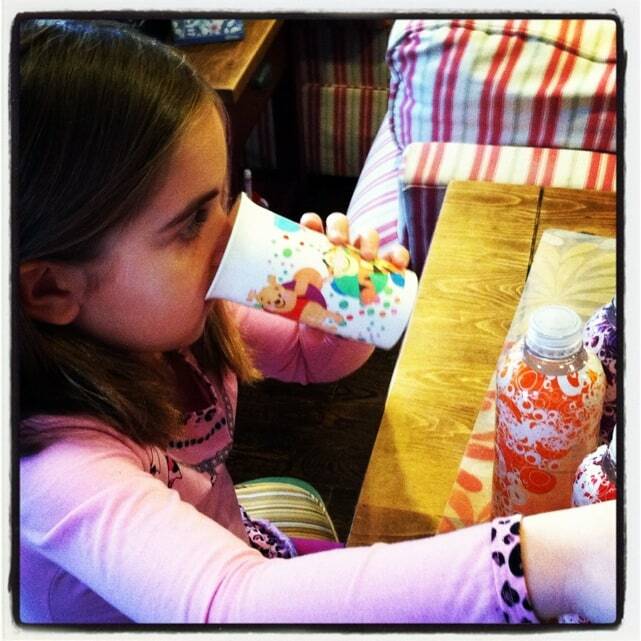 There was a slight after taste that I picked up on when I took a sip, but Natalie didn’t seem to notice. She drank her entire cup and then asked to try another flavor. My husband and son also grabbed a bottle and took a swig. Everyone was pleasantly surprised. Well, the kids didn’t realize they were enjoying an added benefit, but my husband was just as thrilled as I was. In the day and age of the “chicken nugget”, parents need to lean on fortified products like Omega Water to ensure that their kids are getting the nutrition they should. Click here to find a retailer near you or visit Amazon.com to make an online purchase. 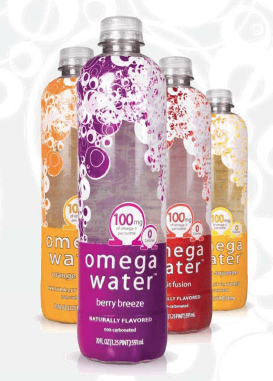 Want to keep up with Omega Water? Follow them on Twitter or Facebook. * This is a sponsored post – all opinions are my own. The lemon squeeze is my favorite flavor too!